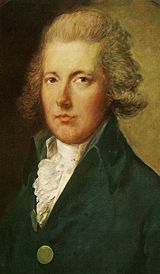 William Pitt the Younger (May 28, 1759 – January 23, 1806) was a British politician of the late eighteenth and early nineteenth centuries. He served as Prime Minister of the United Kingdom from 1783 to 1801, and again from 1804 until his death (technically he was first minister, as the title of Prime Minister was not made official until 1905). He is known as "William Pitt the Younger" to distinguish him from his father, William Pitt the Elder, who also served as Prime Minister of Great Britain. He is the youngest man ever to hold this office. The younger Pitt's prime ministerial tenure, which came during the reign of George III, was dominated by major events in Europe, including the French Revolution and the Napoleonic Wars. Pitt, although often referred to as a Tory, always considered himself to be an "independent Whig" and was generally opposed to the development of a strict partisan political system. Although he originally represented a rotten borough (Rotten Boroughs had such small populations that they were controlled by a patron, who more or less appointed the MP), he pursued parliamentary reforms to make the institution more democratic, given that only land-owners could vote. He also favored granting Roman Catholic in Ireland civil rights, and abolition of the slave trade. Unmarried, he died with debts and from a decline in his health exacerbated by too much alcohol. He served in high office at a time when participation in government and in parliament was regarded as mainly a voluntary obligation that fell on the landed classes. Pitt's family were not especially wealthy and as a younger son his own inheritance was a modest one. In many respects, Pitt failed to achieve all of the reforms he wanted, such as Catholic emancipation and the abolition of slavery, but he was generous enough to want to promote freedom and human dignity at a time when many opposed the notion that all people were of equal value, and argued that European superiority gave them the right to rule the rest of the world. William Pitt the Younger, second son of William Pitt the Elder (afterward, Earl of Chatham) and Hester Pitt, 1st Baroness Chatham, was born in Hayes, Kent. Pitt the Younger's father was an important British statesman, as was his maternal uncle, George Grenville. Pitt the Younger was the fourth of five children; his elder brother, John Pitt, also had a political career. William Pitt the Younger, sickly as a boy, was educated at private school by the Reverend Edward Wilson. An intelligent child, Pitt quickly became proficient in Spanish and Greek. In 1773, aged fourteen years, he attended Pembroke Hall at the University of Cambridge, where he studied political philosophy, Classics, mathematics, chemistry, and history. In 1776, Pitt, plagued by poor health, took advantage of a little-used privilege available only to the sons of noblemen, and chose to graduate without having to pass examinations. While at Cambridge, he befriended the young William Wilberforce, who would become a lifelong friend. He supported Wilberforce's efforts to end slavery. Pitt's father, who had by then been created Earl of Chatham, died in 1778. Pitt saw his father collapse in the House of Commons four days before he died. As a younger son, Pitt the Younger received a small inheritance. He received legal education at Lincoln's Inn and was called to the bar. 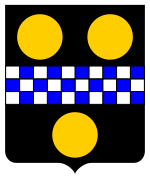 During the general elections of September 1780, Pitt contested the University of Cambridge seat, but lost. Still intent to enter Parliament, Pitt, with the help of his university comrade, Charles Manners, 4th Duke of Rutland, secured the patronage of James Lowther. Lowther effectively controlled the rotten borough of Appleby; a by-election in that constituency sent Pitt to the House of Commons in January 1781. Pitt's entry into parliament is somewhat ironic; Pitt later rallied against the very same rotten boroughs that gained him his seat. In Parliament, the youthful Pitt cast aside the withdrawn and aloof nature that characterized him during his university days, emerging as a noted parliamentarian and debater. Pitt originally aligned himself with prominent Whigs such as Charles James Fox. With the Whigs, Pitt denounced the continuation of the American War of Independence. Instead he proposed that the Prime Minister, Lord North, make peace with the rebellious American colonies. Pitt also supported parliamentary reform measures, including a proposal that would have checked electoral corruption. He renewed his friendship with William Wilberforce, with whom he frequently met in the gallery of the House of Commons, and they formed a lasting friendship. After Lord North's ministry collapsed in 1782, the Whig Charles Watson-Wentworth, 2nd Marquess of Rockingham was appointed Prime Minister. Pitt was offered the minor post of Vice-Treasurer of Ireland; but he refused, considering the post too subordinate. Lord Rockingham died only three months after coming to power; he was succeeded by another Whig, William Petty, 2nd Earl of Shelburne. Many Whigs who had formed a part of the Rockingham ministry, including Charles James Fox, now refused to serve under the new Prime Minister. Pitt, however, was comfortable joining the Shelburne Government; he was appointed Chancellor of the Exchequer. Fox, who became Pitt's lifelong political rival, then joined a coalition with Lord North, with whom he collaborated to bring about the defeat of the Shelburne administration. When Lord Shelburne resigned in 1783, King George III, who despised Fox, offered to appoint Pitt to the office of Prime Minister. But Pitt wisely declined, for he knew he would be incapable of securing the support of the House of Commons. The Fox-North Coalition rose to power in a Government nominally headed by William Cavendish-Bentinck, 3rd Duke of Portland. Pitt, who had been stripped of his post as Chancellor of the Exchequer, joined the Opposition. He raised the issue of parliamentary reform in order to strain the uneasy Fox-North Coalition, which included both supporters and detractors of reform. He did not advocate an expansion of the electoral franchise, but he did seek to address bribery and rotten boroughs, despite representing one himself. Though his proposal failed, many reformers in Parliament came to regard him as their leader, instead of Charles James Fox. The Fox-North Coalition fell in December 1783, after Fox introduced Edmund Burke's bill to reform the British East India Company to gain the patronage he so greatly lacked while the King refused to support him. The King was opposed to the bill; when it passed in the House of Commons, he secured its defeat in the House of Lords by threatening to regard anyone who voted for it as his enemy. Following the bill's failure in the Upper House, George III dismissed the coalition and finally entrusted the premiership to William Pitt after having offered the position to him three times previously. Pitt, at the age of twenty-four, became Great Britain's youngest Prime Minister ever, and was ridiculed for his youth. A popular ditty commented that it was "a sight to make all nations stand and stare: A kingdom trusted to a schoolboy's care." However, although it was widely predicted that the new "mince-pie administration" would not last the Christmas season, it survived for seventeen years. So as to reduce the power of the Opposition, Pitt offered Charles James Fox and his allies posts in the Cabinet; Pitt's refusal to include Lord North, however, thwarted his efforts. The new Government was immediately on the defensive, and was defeated on a Motion of No Confidence in January 1784. Pitt, however, took the unprecedented step of refusing to resign despite such a defeat. He retained the support of the King, who could not tolerate the Fox-North Coalition. He also received the support of the House of Lords, which passed supportive motions, as well as much support from the country at large, in the form of many petitions approving of his appointment (which influenced some local MPs to switch their support to Pitt) and he was accorded the Freedom of the City of London. Whilst returning from this ceremony the attendees chose to pull Pitt's coach home themselves as a sign of respect. When passing the Whig club the coach came under attack from a group of men who tried to assault Pitt. When news of this spread it was assumed that Fox and his associates had tried to bring down Pitt by any means. Pitt gained great popularity with the public at large as "Honest Billy" who was seen as a refreshing change from the dishonesty, corruption, and lack of principles widely associated with both Fox and North. Despite a series of defeats in the House of Commons, Pitt defiantly remained in office, watching the Coalition's majority shrink as some Members of Parliament left the Opposition to join his side. The defectors, however, were not sufficiently numerous to give Pitt a majority. In March 1784, Parliament was dissolved, and a general election ensued. An electoral defeat for the Government was out of the question, for Pitt enjoyed the support of King George III. The aid of patronage and bribes paid by the Treasury were normally expected to be enough to secure the Government a comfortable majority in the House of Commons but on this occasion the government reaped much popular support as well. In most popular constituencies the election was fought between clear candidates representing Pitt or Fox/North. Early returns showed a massive swing to Pitt, with the result that many opposing MPs either defected, stood down or made deals with their opponents to avoid expensive defeats. A notable exception came in Fox's own constituency of Westminster, which had one of the largest electorates in the country. In a contest estimated to have cost a quarter of the total spending in the entire country, Fox bitterly fought against two Pittite candidates to secure one of the two seats for the constituency, with every possible campaigning method tried. When polling finished massive legal wranglings ensued, involving the examination of every single vote cast, which dragged on for more than a year. In the meantime Fox sat for the pocket borough of Orkney but many saw the dragging out of the result as excessive vindictiveness on the part of Pitt and eventually the examinations were abandoned, with Fox declared elected. Elsewhere Pitt won a massive personal triumph when he was successfully elected a Member of Parliament for the University of Cambridge, a constituency he had long coveted and which he would continue to represent for the remainder of his life. His administration secure, Pitt could begin to enact his agenda. His first major piece of legislation as Prime Minister was the India Act 1784, which reorganized the British East India Company and kept a watch over corruption. The India Act created a new Board of Control to oversee the affairs of the East India Company. It differed from Fox's failed India Bill 1783 and specified that the Prime Minister was to be a member of the Board and that the Home Secretary/Foreign Secretary (then Lord Sydney) was to be the President. The Act also centralised British rule in India by reducing the power of the Governors of Bombay and Madras and by increasing that of the Governor-General, Cornwallis. Further augmentations and clarifications of the Governor-General's authority were made in 1786, presumably by Lord Sydney, and presumably as a result of the Company's setting up of Penang with their own Superintended (Governor), Captain Francis Light, in 1786. In domestic politics, Pitt also concerned himself with the cause of parliamentary reform. In 1785, he introduced a bill to remove the representation of thirty-six rotten boroughs, and to extend the electoral franchise to more individuals. Pitt's support for the bill, however, was not strong enough to prevent its defeat in the House of Commons. The bill, introduced in 1785, was Pitt's last reform proposal introduced in Parliament. Another important domestic issue with which Pitt had to concern himself was the national debt, which had increased dramatically due to the rebellion of the North American colonies. Pitt sought to eliminate the national debt by imposing new taxes. Pitt also introduced measures to reduce smuggling and fraud. In 1786, he instituted a sinking fund to reduce the national debt. Each year, £1,000,000 of the surplus revenue raised by new taxes was to be added to the fund so that it could accumulate interest; eventually, the money in the fund was to be used to pay off the national debt. The system was extended in 1792, so as to take into account any new loans taken by the Government. Pitt sought European alliances to restrict French influence, forming the Triple Alliance with Prussia and the United Provinces in 1788. During the Nootka Sound Controversy in 1790, Pitt took advantage of the alliance to force Spain to give up its claim to exclusive control over the western coast of North and South America. The Alliance, however, failed to produce any other important benefits for Great Britain. In 1788, Great Britain faced a major crisis when King George III fell victim to a blood disorder, porphyria, unknown at this time. If protracted and untreated, it has serious mentally debilitating effects. In fact King George III was thought to be suffering from some form of mental disorder. The laws of the kingdom included no provisions relating to insane monarchs; hence, it was unclear as to how a Regency could be put into place. All factions in Parliament agreed that the only viable candidate for Regent was the King's eldest son, HRH The Prince George, Prince of Wales. The Prince, however, was a supporter of Charles James Fox; had he come to power, he would almost surely have dismissed Pitt. However, he did not have such an opportunity, as Parliament spent months debating legal technicalities relating to the Regency. Fortunately for Pitt, George III recovered in February 1789, just after a Regency Bill had been introduced and passed in the House of Commons. The general elections of 1790 resulted in a majority for the Government, and Pitt continued as Prime Minister. In 1791, he proceeded to address one of the problems facing the growing British Empire: The future of British Canada. By the Constitutional Act of 1791, the province of Quebec was divided into two separate provinces: The predominantly French Lower Canada and the predominantly English Upper Canada. In 1792, George III appointed Pitt to the honorary post of Lord Warden of the Cinque Ports. The King had offered him a Knighthood of the Garter, but he refused, instead proposing that the honour go to his elder brother, the second Earl of Chatham. After the French Revolution began in 1789, Pitt's government attempted to delay intervention in European conflicts for as long as possible. The aggression of the French revolutionary government, however, did not permit Great Britain to remain neutral. Especially alarming to the British were decrees issued by the French in 1792, vowing to aid any attempts other Europeans may undertake to overthrow their own monarchies. On February 1, 1793, the French, believing that they could precipitate a British Revolution, declared war on Great Britain, forcing Pitt to reciprocate by declaring war on France. Pitt did not seek to restore the French monarchy by crushing the revolutionaries, instead confining Great Britain to the protection of its own interests. He agreed to take part in the First Coalition, an alliance with Austria, Prussia, Sardinia, Spain, and the United Provinces. The French Revolution encouraged many in Great Britain to once again speak of parliamentary reform, an issue which had not been at the political forefront since Pitt's reform bill was defeated in 1785. The reformers, however, were quickly labeled as radicals and as associates of the French revolutionaries. Parliament began to enact repressive legislation in order to silence the reformers. Individuals who published seditious material were punished, and, in 1794, the privilege of the writ of habeas corpus was suspended. Other repressive measures included the Seditious Meetings Act (which restricted the right of individuals to assemble publicly) and the Combination Acts (which restricted the formation of societies or organisations that favoured political reforms). Problems manning the Royal Navy also led to Pitt to introduce the Quota System, in 1795, addition to the existing system of Impressment. The war with France was extremely expensive, straining Great Britain's finances. In 1797, Pitt was forced to protect the kingdom's gold reserves by preventing individuals from exchanging banknotes for gold. Great Britain would continue to use paper money for over two decades. Pitt was also forced to introduce Great Britain's first ever income tax. The new tax helped offset losses in indirect tax revenue, which had been caused by a decline in trade. Despite the efforts of Pitt and the British allies, the French continued to defeat the members of the First Coalition, which collapsed in 1798. A Second Coalition, consisting of Great Britain, Austria, Russia, and the Ottoman Empire, was formed, but it, too, failed to overawe the French. The fall of the Second Coalition with the defeat of the Austrians at Marengo (June 14, 1800) left Great Britain facing France alone. The French Revolution revived religious and political problems in Ireland, a realm under the rule of the King of Great Britain. In 1798, Irish nationalists even attempted a rebellion, believing that the French would help them overthrow the monarchy. Pitt firmly believed that the only solution to the problem was a union of Great Britain and Ireland. The union was established by the Act of Union 1800; compensation and patronage ensured the support of the Irish Parliament. Great Britain and Ireland were formally united into a single realm, the United Kingdom of Great Britain and Ireland, on January 1, 1801. Pitt sought to inaugurate the new kingdom by granting concessions to Roman Catholics, who formed a majority in Ireland, by abolishing various political restrictions under which they suffered. George III, however, did not share the same view. The King was strongly opposed to Catholic Emancipation; he argued that to grant additional liberty would violate his coronation oath, in which he had promised to protect the established Church of England. Pitt, unable to change the King's strong views, resigned on February 16, 1801, so as to allow Henry Addington, his political friend, to form a new administration. At about the same time, however, the King suffered a renewed bout of madness; thus, Addington could not receive his formal appointment. Though he had resigned, Pitt temporarily continued to discharge his duties; on February 18, 1801, he even brought forward the annual Budget. Power was transferred from Pitt to Addington on March 14, when the King recovered. Pitt supported the new administration, but with little enthusiasm; he frequently absented himself from Parliament, preferring to remain in Walmer Castle, where he helped organize a local volunteer force in anticipation of a French invasion. After a series of British military victories, the French agreed to make peace in the Treaty of Amiens (1802). By 1803, however, the war had begun once more. Although Addington had previously invited him to join the Cabinet, Pitt preferred to join the Opposition, becoming increasingly critical of the Government's policies. Addington, unable to face the combined opposition of Pitt and Charles James Fox, saw his majority gradually evaporate. By May 1804, Addington, who had lost his parliamentary support, had decided to resign. Pitt returned to the premiership on May 10, 1804. He had originally planned to form a broad coalition government, but faced the opposition of George III to the inclusion of Fox. Moreover, many of Pitt's former supporters, including the allies of Henry Addington, joined the Opposition. Thus, Pitt's Second Ministry was considerably weaker than the first. The British Government suffered under the unrelenting pressure of the French Emperor, Napoleon I. Thanks to Pitt's efforts, Great Britain joined the Third Coalition, an alliance that also involved Austria, Russia, and Sweden. In October 1805, the British Admiral, Horatio Nelson, 1st Viscount Nelson, won a crushing victory in the Battle of Trafalgar, ensuring British naval supremacy for the remainder of the war. Nevertheless, the Coalition collapsed, having suffered significant defeats at the Battle of Ulm (October 1805) and the Battle of Austerlitz (December 1805). The setbacks took a toll on Pitt's health, which was worsened by a fondness for port. On January 23, 1806, Pitt died due to liver disease; he was unmarried and left no children. Pitt's debts amounted to £40,000 when he died, but Parliament agreed to pay them on his behalf. A motion was made to honour him with a public funeral and a monument; it passed despite the opposition of Fox. Pitt's body was buried in Westminster Abbey on February 22, having lain in state for two days in the Palace of Westminster. Pitt was succeeded as Prime Minister by William Wyndham Grenville, 1st Baron Grenville, who headed an administration that included Charles James Fox. William Pitt the Younger was a powerful Prime Minister who consolidated the powers of his office. Even though he was sometimes opposed by members of his own Cabinet, he helped define the role of the Prime Minister as the supervisor and co-ordinator of the various Government departments. He was not, however, the supreme political influence in the nation, for the King remained the dominant force in Government. Pitt was Prime Minister not because he enjoyed the support of the electorate or of the House of Commons, but because he retained the favor of the Crown. One of Pitt's most important accomplishments was a rehabilitation of the nation's finances after the American War of Independence. Pitt helped the Government manage the mounting national debt, and made changes to the tax system in order to improve its efficiency. Pitt's other domestic plans, however, were not as successful; he failed to secure parliamentary reform, Catholic Emancipation, or the abolition of slave trade. William Pitt the Younger was a personal friend of Thomas Raikes 1741-1813, Esquire, merchant & banker in London and Governor of the Bank of England during the crisis of 1797 when war had so diminished gold reserves that the government prohibited the Bank of England (national bank of Britain) from paying out in gold and ordered at the Bank of England to replace the payment out of gold by banknotes. On February 26, 1797, the Bank of England, under the direction of Thomas Raikes issued the first £1 and £2 English banknotes. "I return you many thanks for the honor you have done me; but Europe is not be saved by any single man. England has saved herself by her exertions, and will, I trust, save Europe by her example" (reply, at the Guildhall, 1805, in response to the Lord Mayor toasting him as the "Saviour of Europe." From: Ellis & Treasure Britain's Prime Ministers (2005), p. 80). "Roll up that map; it will not be wanted these ten years" (On a map of Europe, after hearing the news of the Battle of Austerlitz. From: Stanhope's Life of the Rt. Hon. William Pitt (1862), vol. iv, p. 369). "Oh, my country! how I love my country" (Attributed last words, from: Stanhope's Life of the Rt. Hon. William Pitt (1862), vol. iv, p. 382). "Oh, my country! how I leave my countr." (Attributed last words, from: Stanhope's Life of the Rt. Hon. William Pitt (1862), vol. iv, p. 391). "I think I could eat one of Bellamy's veal pies" (Alternative attributed last words). "…the foulest and most atrocious deed" (in reference to the execution of King Louis XVI of France). ↑ UK Government, William Pitt. Retrieved June 17, 2007. ↑ The History Channel, On this Day in History: 16th February. Retrieved October 16, 2008. Duffy, Michael. Profiles in Power: The Younger Pitt. London: Longman, 2000. ISBN 9780582052796. Ehrman, John. The Younger Pitt. London: Constable & Co, 1969. Hague, William. William Pitt the Younger. London: HarperCollins. ISBN 9781400040520. Jarrett, Derek. Pitt the Younger. London: Weidenfeld and Nicolson, 1974. ISBN 9780684138688. Reilly, Robin. Pitt the Younger 1759–1806. London: Cassell Publishers. ISBN 9780304297818. Rosebery, Archibald Philip Primrose, 5th Earl of. Life of Pitt. London: Macmillan & Co, 1891. Stanhope, Philip Henry Stanhope, 5th Earl. Life of the Right Honourable William Pitt. London: John Murray, 1861-62. History of "William Pitt the Younger"
This page was last modified on 4 May 2015, at 15:24.